Chief Justice Hecht delivered the State of the Judiciary at 11:00 am, February 6, 2019. Read the transcript of his speech. 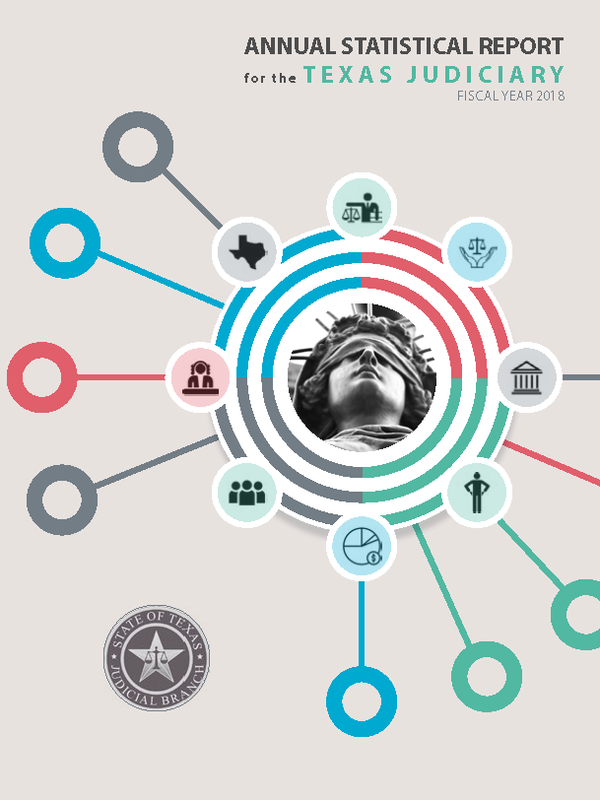 The Office of Court Administration has published the Fiscal Year 2018 Annual Statistical Report for the Texas Judiciary, which contains state-level data trends, court-level data trends and details statistics across the courts and case types in the state. 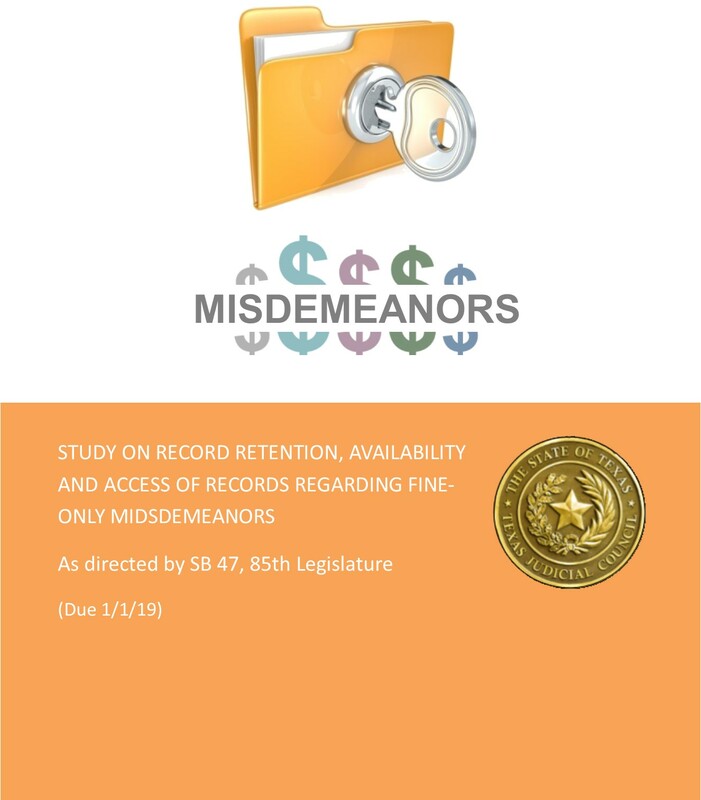 The retention schedule of each local agency holding records described by sections (1) through (3), if the agency routinely destroys those records. A person who is placed under guardianship loses civil rights, personal decision-making power, and the authority to control their own money and assets. Those rights and powers are entrusted to a guardian to protect the person from exploitation– but this arrangement leaves the person under guardianship vulnerable to exploitation if not properly monitored. 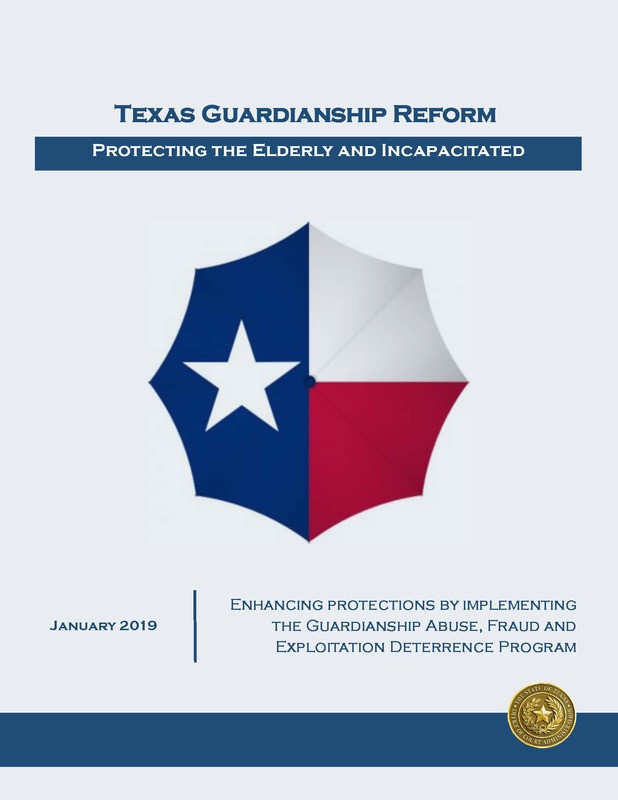 For this reason, statutorily-required processes have been put in place to protect incapacitated persons who may be placed under guardianship – starting with an assessment of whether guardianship is necessary or whether an alternative to guardianship is a viable option. Laws are also in place requiring guardians to be bonded, to be registered, to report yearly to the court on the personal and financial position of persons under their care, and to obtain permission from the court before making major decisions in the life or financial management of a person in their care. 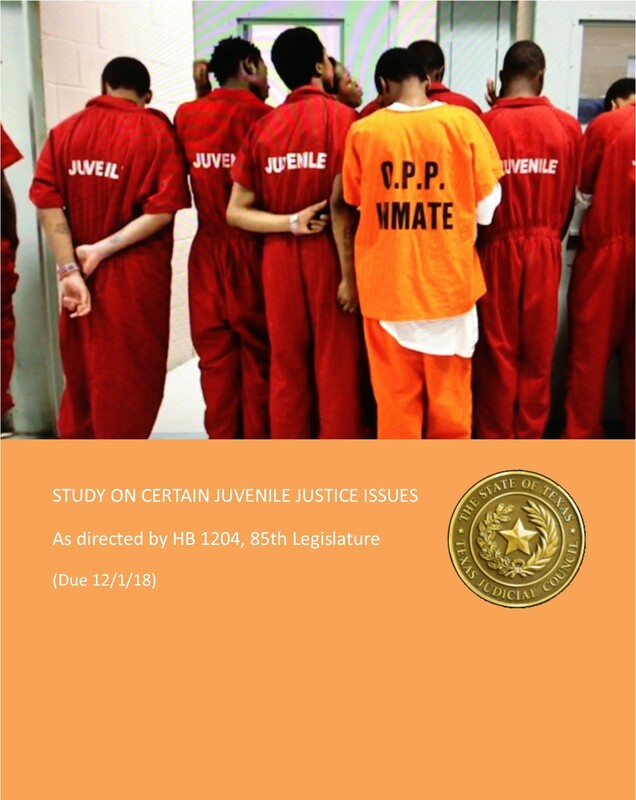 Whether certain procedures under the juvenile justice system, if used in the adjudication of juveniles charged with misdemeanors punishable by fine only, would provide a more just and efficient process for responding to violations of the law by juvenile offenders. The Office of Court Administration published the Annual Report of the Judicial Support Agencies, Boards and Commissions. The report provides an overview of the activities and accomplishments of these entities during Fiscal Year 2018. During the most recent fiscal year, the state’s fourteen courts of appeals continued a trend of strong judicial performance. The number of opinions issued by each justice increased by 4.5% from Fiscal Year 2017, and the total number of opinions issued by the courts increased by 1.3% to almost 10,000 opinions. 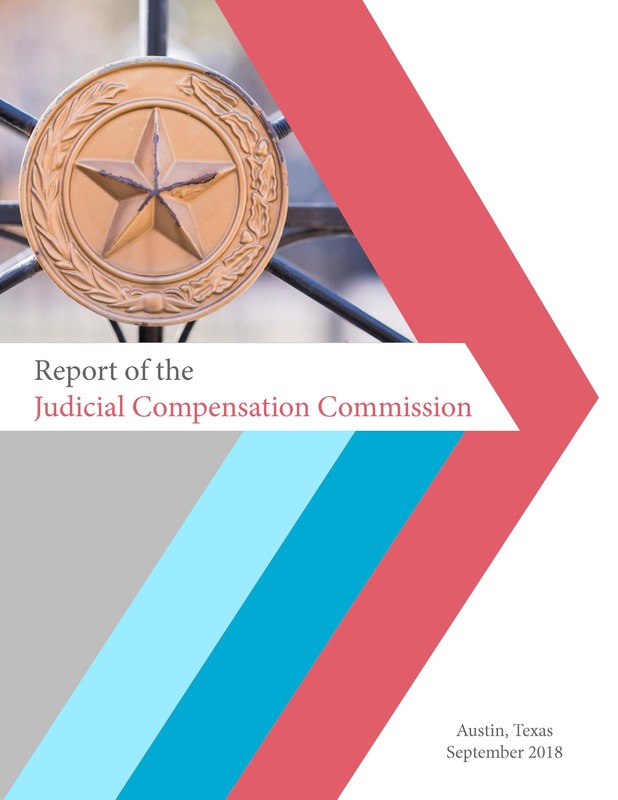 The Judicial Compensation Commission released its 2018 Report to the Legislature this month. Among its recommendations is a 15% increase in compensation for judges and justices on the Supreme Court, Court of Criminal Appeals, Courts of Appeals and District Courts. Each biennium, the Commission is required to take into consideration several factors, most importantly, the level of overall compensation adequate to attract the most highly qualified individuals in the state, from a diversity of life and professional experiences, to serve in the judiciary without unreasonable economic hardship and with judicial independence unaffected by financial concerns. CourTex is the Office of Court Administration's monthly newsletter about what is happening in the Judicial Branch. Enter your email address to sign-up!